Genieße deine Musik ohne Kabel. Genieße das vortreffliche Hörerlebnis und den fantastischen Sound, den JBL seit 70 Jahren in Konzertsäle, Studios und Wohnzimmer bringt. Blende Umgebungsgeräusche mit dem adaptiven Noise-Cancelling einfach aus. Du kannst den Geräuschpegel der Umgebung über die My JBL Headphones-App bzw. die Smart-Taste am Nackenbügel individuell einstellen oder ganz ausblenden. Der integrierte Akku wird über ein Micro-USB-Kabel geladen und bietet im ANC-Modus eine Wiedergabezeit von bis zu 14 Stunden und im Betrieb ohne ANC bis zu 16 Stunden. Der Akku kann in nur 2 Stunden vollständig aufgeladen werden. Integrierte Dual-Mikrofone mit Echo-Unterdrückungstechnologie für kristallklare Telefonate über die Freisprechfunktion. Setze das gesamte Potenzial des Everest Elite 150NC frei und passe die Kopfhörereinstellungen ganz an deine Vorstellungen an. Anatomisch geformte Ohrstöpsel sorgen für beispiellosen Tragekomfort – und für ein längeres, angenehmeres Hörerlebnis. Das kompakte und schlanke Design mit einem Nackenbügel sowie das hochwertige Transportetui sorgen für maximalen Schutz beim Transport. Dein Leben, deine Musik, dein Komfort – der brandneue JBL Everest Elite 150NC passt sich deinen Bedürfnissen perfekt an. Die intelligente Technik ermöglicht dir bis zu 16 Stunden kabelloses Hörvergnügen mit nur einer Akkuladung. Im adaptiven Noise-Cancelling-Modus (ANC) bestimmst du, was du wirklich hören möchtest – bis zu 14 Stunden lang. Der JBL Everest Elite 150NC verfügt über Dual-Mikrofone mit Echo-Unterdrückungstechnologie, die für klare Telefongespräche sorgen und Anrufe und Musikhören per Freisprecheinrichtung ermöglichen. Der legendäre JBL Pro Audio Sound, die verwicklungsfreien magnetischen Ohrstöpsel für einfache Kabelhandhabung, das kompakte Transportetui und das leichte Design machen diesen Kopfhörer zu einem exzellenten Reisebegleiter. Dieser schlanke und elegante Kopfhörer ist in verschiedenen Metallic-Ausführungen und Farben erhältlich. Er wurde sorgfältig aus hochwertigen Materialien gefertigt und bietet dank der Ohrpassstücke in verschiedenen Größen einen passgenauen Tragekomfort. Die My JBL Headphones-App beinhaltet Over-the-Air-Updates und macht den Kopfhörer zukunftstauglich. Mit der Funktion der einstellbaren Umgebungswahrnehmung kannst du außerdem die Umgebungsgeräusche dynamisch regulieren. Dare to listen. 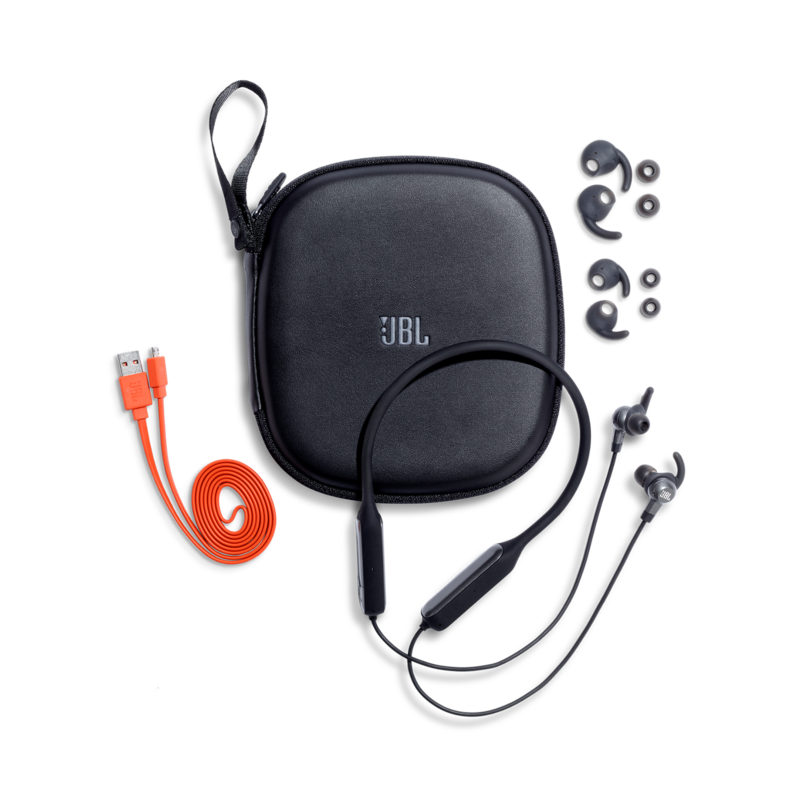 JBL EVEREST™ ELITE 150NC wurde bewertet mit 3.3 von 5 von 27. Rated 5 von 5 von Carlos La aus ANC is solid, Battery Life is wild Got this for two reasons: Battery + ANC. I've used earbuds with ANC before -- these ones are better, partially because the ear cups are a really good fit, partially because the ANC is just very good. The ambient aware stuff is dumb, just ignore that. Their app threw me off about the battery life... it seemed to drop quickly and charge in like 20 - 30 mins... I finally realized that the app is wrong and the battery is fine. It gets down to 30% and then lasts forever, so the charge is just topping it off. In reality it lasts a stupid amount of time battery wise. Needed to play with the EQ a little to get the sound right, but then it's great. All in all very happy with it, as it nailed the key things I wanted without looking like trash. Rated 3 von 5 von dermusicfreak aus Guter Sound, aber nur ohne ANC Der Sound ist sehr gut, aber nur wenn ANC ausgeschaltet ist. Mit ANC hat der Kopfhörer viel viel zu viel Bass. Seid ihr taub? Eigentlich sollte doch der Anspruch sein, dass der Sound mit und ohne ANC gleich ist, oder? Das klappt nicht. Zum Glück gibts die App mit einem schicken Equalizer, das ist aber nix für Unerfahrene. Vielleicht fixt Harman das noch mit einem Software update. ANC selber funktioniert super, besonders im tieffrequenten Spektrum. Ebenfalls unschön: Defekt nach weniger als 3 Wochen. Seufz! Aber dafür gibts ja Garantie. Die recht großen 'Knubbel' sind auch nicht jedermanns Fall. Insgesamt dennoch eine Empfehlung. 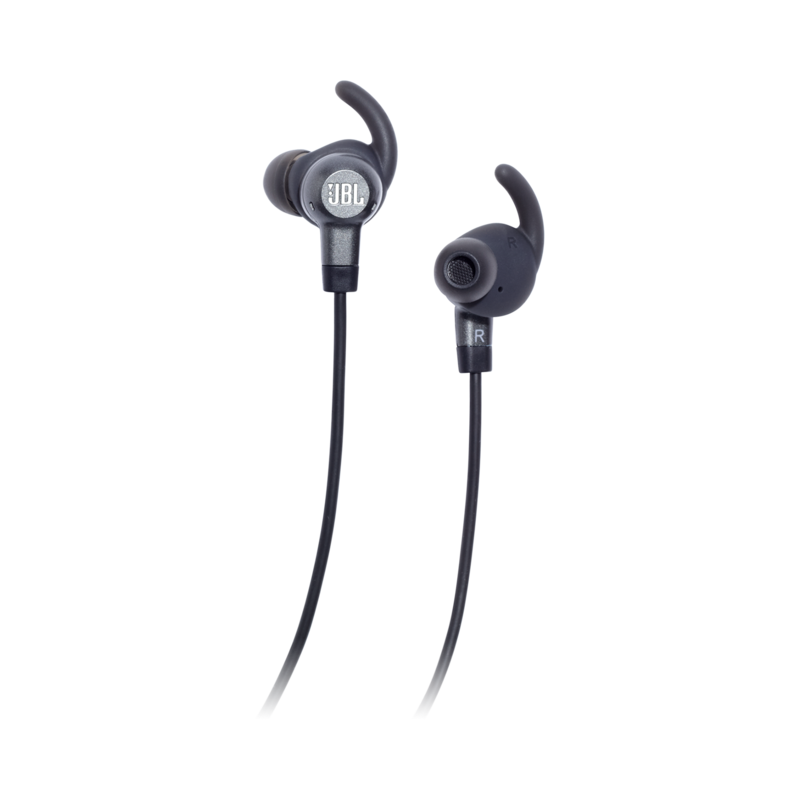 Rated 4 von 5 von JuBiLee aus Weaker bluetooth signal vs better battery life. Both units, ELITE 100 and ELITE 150NC, provide great sound than most other brands. But for me, ELITE 100 would be a better unit if it's battery was not defective. I can perform more tasks while listening music with ELITE 100: jogging, running, doing crunches, pushing up....hand mopping floor even microwaving/ vacuuming/ mowing. Thanks to the holding support mechanism. ELITE 150NC does not have that support and tend to slide to sides. ELITE 150NC loose connection if it is position lower than the phone or close to a running microwave, mower or or vacuum machine. Some times after loosing connection it can't even auto connect back. ELITE 150NC still is a awesome unit . 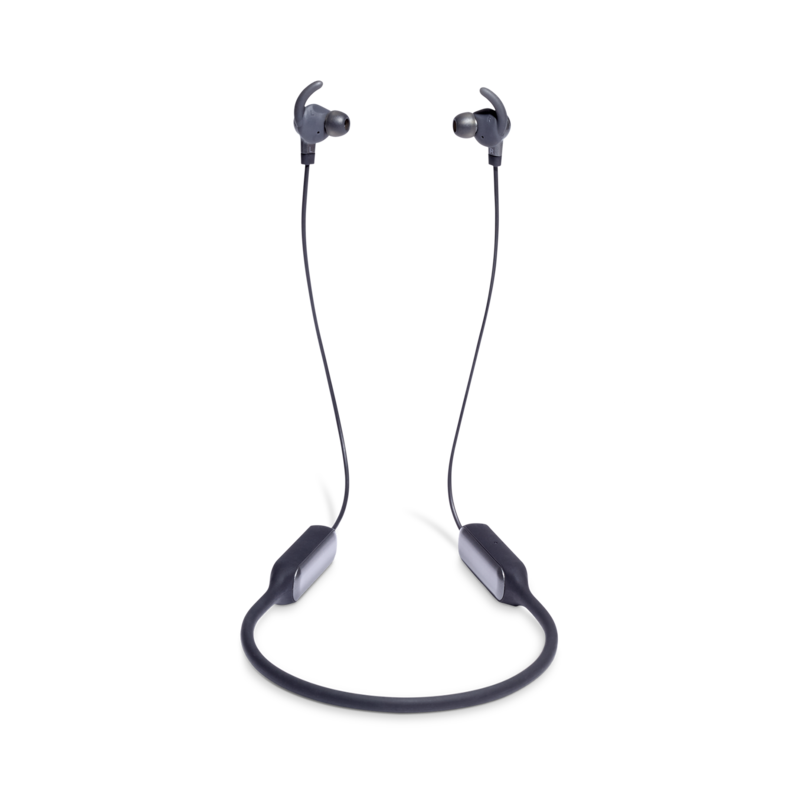 Rated 5 von 5 von Midwest Guy aus Better than Everest Elite 100NC I had the Everest Elite 100NC ear buds and the sound was pretty good when they stayed connected and were not crackling. I upgraded to the EE150NC and what a difference. 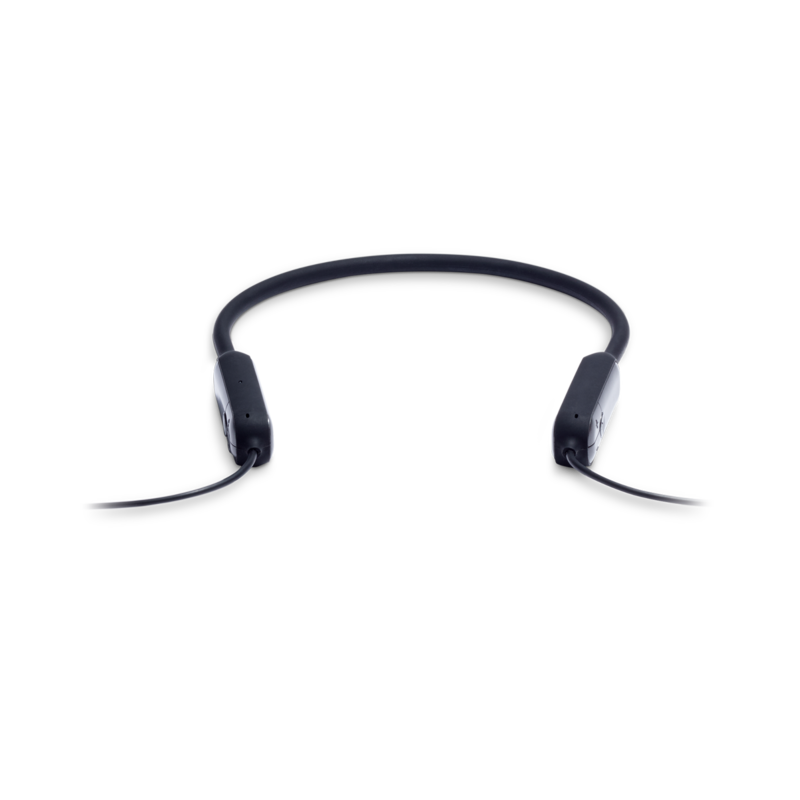 Sound was equally as good, but no crackling and battery life is great compared to the EE100NC. I use these every day for work to make sales calls with no problems. I do have them set to auto shut down if not used to save battery. They come back up very fast after pushing the power button if a call comes in. I really like these when I am riding my lawn tractor. The NC cuts out pretty much all of the tractor noise and I can hear the music great. The design of the new EE150NC is so much better than the EE100NC. The peice that gooes around the neck is nicely weighted and stays in place. It is way better than the EE100NC that had some crummy plastic pieces that you had to add to keep them around your neck when using them in an active scenerio (working out or yard work). I did have to play with the different size ear pieces to find what works best to keep them stuck in my ears. I also puchased some cheap memory foam ends instead of using the silicone ones that came with the EE150NC because they hurt my ears if I wore them for a long period of time. That solved the problem. I am very satisfied with new version. Rated 1 von 5 von Lara T aus Save your money and stay away from this garbage I bought these headphones during Cyber Monday as the deal appeared very good - they were half price. Unfortunately, too good to be true. Let's start with the battery: with the ANC on, it is possible to see how the battery gets drained from 100% to 50% in only 1 hour of listening! It is only slightly better with the ANC off: you can get a "whopping" 3 hours of listening! 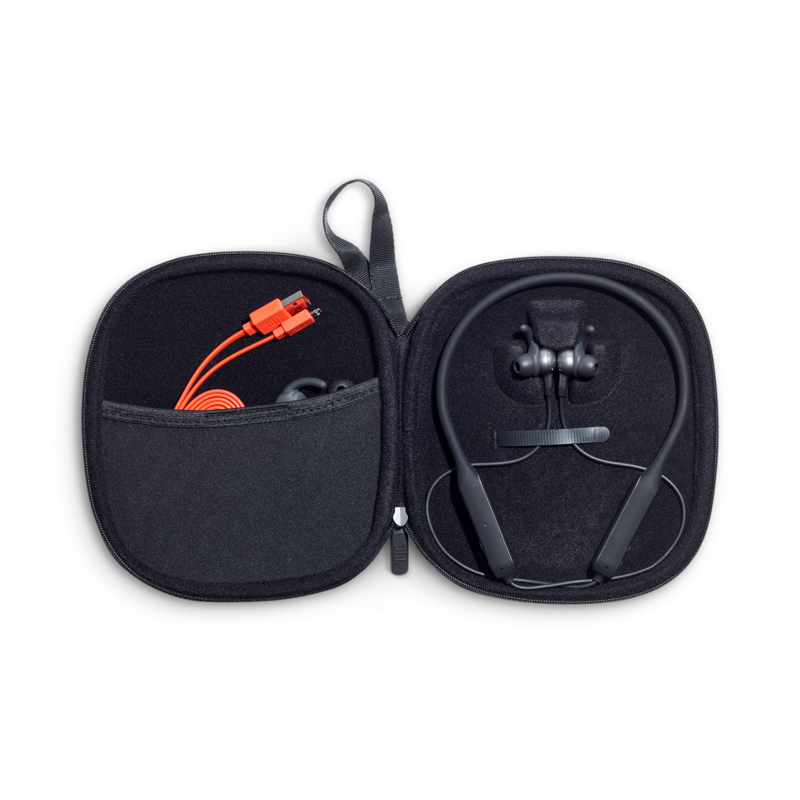 The sound isn't that great either: flat and underwhelming - I have a pair of wireless earphones paid MUCH less that have a deeper and more nuanced sound than these. Do yourself a favor and DO NOT BUY these!!! Rated 5 von 5 von FrankieJr aus Excellent!! I’ve had these for a month now and I love them. Battery last all day (14 hrs yesterday in fact). Constant loud music and phone calls. The noise canceling is great, however it does use more battery. I always keep the nc off. Great bass and sound. Volume control and other buttons are very well placed and easy to find. They are very light and comfortable. Fit nicely on my neck. Always stay in place, even when working in the yard. Great Bluetooth range too I got these to replace some failing reflect response and these are soo much better. 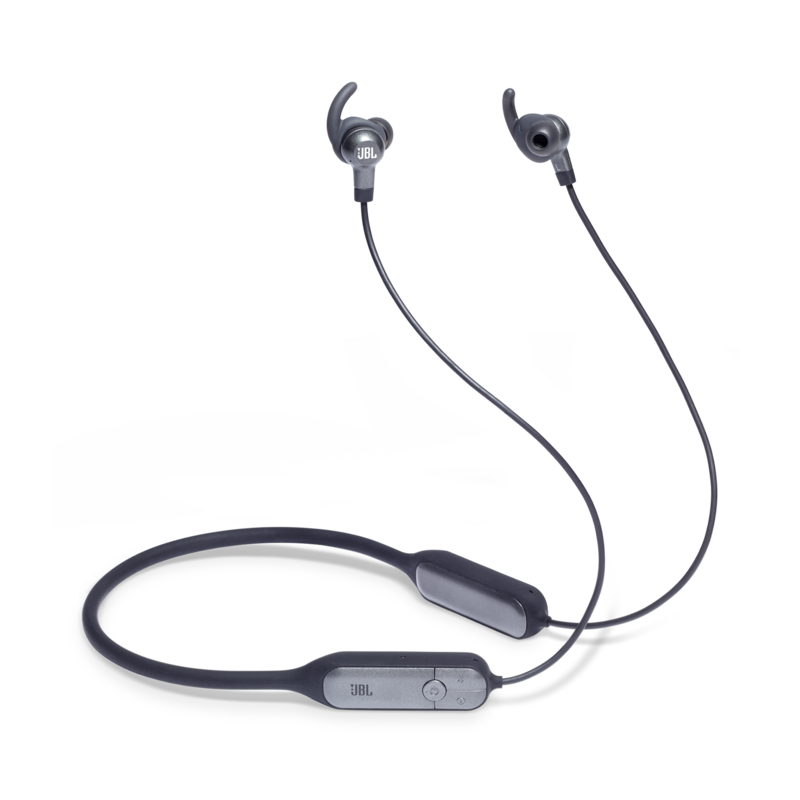 Rated 4 von 5 von Jdandeneau35 aus So far so good with 1 complaint I just recently purchased this Bluetooth headset yesterday since my previous LG HBS-A80 started to break. I am very much impressed with the sound quality and call quality as no one has mentioned that they cannot hear me or that I sound far away from the mic. My one major complaint is that I have not been able to connect this device to multiple phones simultaneously. I have not had this issue with any other Bluetooth device I have had in the past several years. This Bluetooth device is the most expensive one I have purchased to date and am concerned about this feature being missing. My job requires me to have a work cell and I also have my personal cell so this is may be a big issue for me. Can this feature be added via a future firmware update? If so then I will be glad to give it all 5 stars. I can't pair my device with my Macbook Air 2018? When i pair the devices with the each other it says ''connected'', but when i try to play music it disconnect How can this be fixed? Wie genau funktioniert das magnetische kabelmanagement? Vielen Dank f&uuml;r Ihre Kontaktaufnahme. Da Ihre Anfrage Informationen durch einen unserer Produktspezialisten erfordert, m&ouml;chten wir Sie bitten den Harman Kundendienst per Telefon, Email oder Chat zu kontaktieren um Ihnen mit dem Anliegen zu helfen. Bitte finden Sie weitere Informationen unter https://de.harmanaudio.com/support-contact.html#ns. Vielen Dank. Is there a way to mute the microphone while on a phone call? This is not currently possible. If you need further assistance, please submit a case request at https://www.harmanaudio.com/support-contact.html and the Customer Service Team will be more than happy to assist you. In One review you stated it can be connected to two devices, however a different review you stated it could only be connected to one device. My question is, which one of those is it? Can it connect too two or one devices? Thank you. Unfortunately, the Everest 150NC does not feature a multipoint operation. It only has the capability to connect to one device at a time. How does multipoint operation work? Not described in quick start guide. First, how do you put the headset into pairing mode to enable pairing with other devices, then how do you swicth between paired devices?